We last discovered some yarn bombing down in Cornwall whilst visiting the beautiful gardens of Trevarno but just yesterday, upon a visit to the lovely 'town of books' Hay-on-Wye in Powys, Wales, we came across this more recent yarn bombing at the Castle Book Shop, a fantastic open air book shop with lots of old, slightly damp and worn books which you can pick up for as little as 30p by dropping a few coins into their honesty box. The yarn bomber describes her mission as "The intention ... to inspire a Yarn Craft Revival and put a smile on the faces of the Locals, as well as the Visitors to our lovely town." 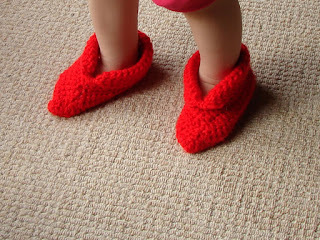 Lil' Elf Slippers - Perfect winter slippers for all ages! 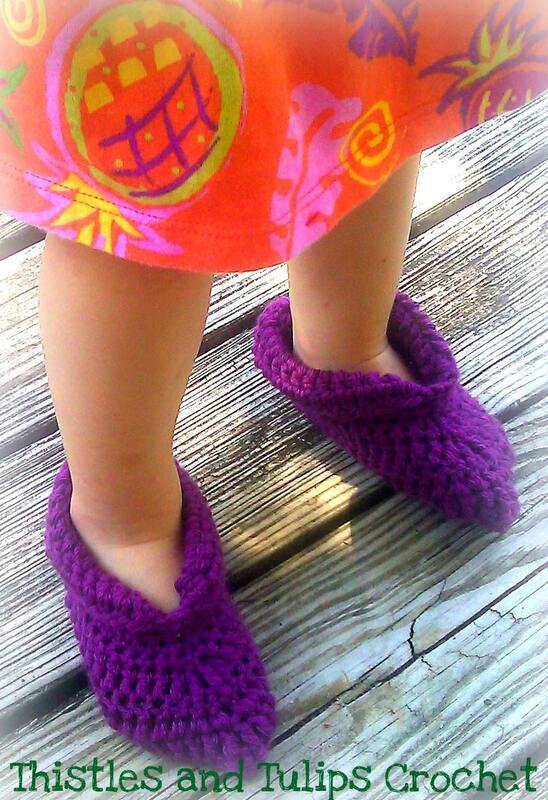 These gorgeously soft Lil' Elf Slippers are the latest crochet creation by American crochet designer Thistles and Tulips Crochet and we at HappyBerry are very berry happy to show them to you! Easily whipped up in no time they make stunning Christmas gifts. Why not try them in white, pink or blue or more festive colours like green and red, add some pom poms or tassles, the possibilities are endless! Designed for ages 3-6 months; 6-12 months; 18 months to 2 years; 2-4 years; 5-8 years; and 12 years they are sure to fit any little angel in your life. Available for only $3.99 at Etsy. Click here to download now. As the colder months draw near and we slowly say goodbye to those lazy summer evenings we start to think about the wonderfully spooky festival of Hallowe'en. I am sure many of you have already been busy crocheting those pumpkin hats but if you fancy something a little unusual why not check out our latest Halloween specials! This fun little Halloween constume hat is just perfect for your little ones to enjoy either as a hat or as a toy. The pattern works up really quick and the effect is really fun! His googly eyes make hiim adorable but watch out he might wiggly all over you!!! 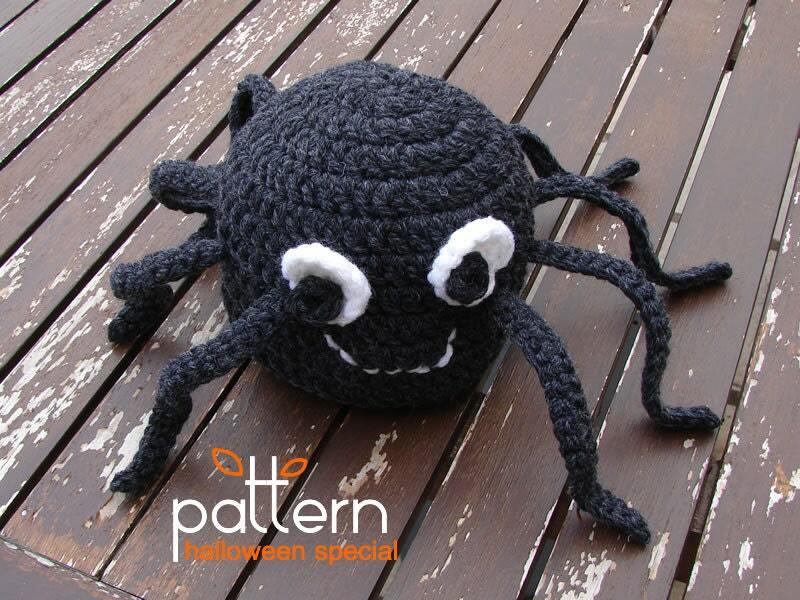 This pattern is in US terminology and is written for ages 6-12 months, 12months to 3 years and 3-10 years and is available via our Etsy shop or via our Ravelry store for a fantastic Halloween special price of $1 (usual price $3.50). Don't miss out !! Or why not check out our devilishly vibrant Devil Horns Headband for ages 6-12 months, 12months to 3 years and 3-10 years. These scary little horns are just fun for any Halloween costume. They work up really quickly and look fantastic! Enough to terrorise any neighbourhood! This pattern is in US terminology but is not recommended for absolute beginners. 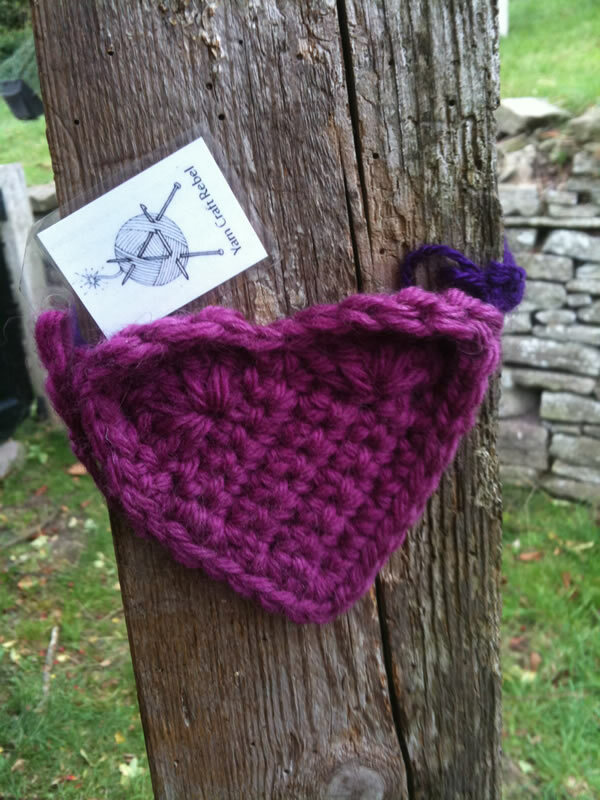 It is also available for FREE on our Facebook page for our likers along with many other free crochet patterns, so do join us and reap the rewards! Happy Halloween everyone and happy crocheting! !